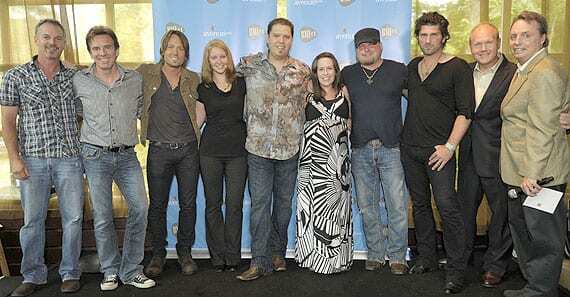 BMI toasted the team behind Keith Urban’s latest No. 1, “Without You,” during a packed party at Cabana on Wednesday, June 22 in Nashville. Written by BMI songwriting team Dave Pahanish and Joe West, “Without You” first captured the ears of songwriter/artist Emily West, who shared the tune with Urban. “Without You” marks the third time Pahanish and West have topped the charts together. It is the 12th No. 1 single of Urban’s career.